Let’s face it. Summer is probably the most favourite season among teenagers and young adults. This season brings brighter and longer days which makes people get outside in order to socialize with others, go out for a meal, make an excursion or even a trip. Have you noticed it? Yes, in every activity there is consumption. Therefore, new advertising trends have to be aware of these needs and be ready to offer an experience addressed to them. Concretely, there is one particular event that achieves all these goals. You can find it in different markets such as Palo Alto , White Summer and Van Van Market and many others which they basically work in the same field. They offer a whole experience by setting their trades there which they can be clothes trades, sunglasses trades and jewelery ones. In line with these products, there are also food trucks of different types. For instance, one food truck can cook italian food such as pizza and pasta, another makes crepes and sells fruit and another serves drinks. Thus, consumers find themselves in a place where they have all they have desired for: a nice environment where they can meet other people, a wide range of different products they can acquire, food and drinks available whenever they are hungry or thirsty and, above all, good weather. These markets have become a plan in everyone’s agendas as they give consumers the chance to enjoy different experiences at the same time. Obviously, this has something to do with the concept of Experiential Marketing; therefore, now I will relate it to this fact. This term is a form of advertising which focuses primarily on helping consumers experience a brand; in other words, it engages them by using their senses which play an essential role in the development of the experience itself. This definition matches perfectly to the consumer’s needs because they do not want to purchase the product itself but to search for new ways to satisfy their needs which go further than the delivery of products and services. Consumers are searching for meaning, happiness, emotions and new forms of fulfillment which they can find them in these markets offerings. As Janiszewski stated in 2009, “benefits are not in the products, benefits are in the consumers experience”. Moreover, these experiences do not end by going to these markets but customers then upload a post to social networks showing the event to the public. By doing this, it can be seen the influence that social networks currently have in our world as the post of each consumer will probably be seen by thousands of people. As a result, it will increase brand awareness, brand recognition and consumer memory and recall of those brands. In our company, La Publicidad Creativa, branding and advertising projects are developed with a wide range of clients and we value the importance of social networks by having Facebook, Instagram and Twitter accounts. For that reason, we want to take part in these new trends and, therefore, we give our users the chance to interact via social media. We are conscious that a lot of people go to these places in order to have a great time with their friends or their relatives. Therefore, we want them to share their experiences with us. That is why we invite users to take part in our following activity. Hey followers, we know that you have attended, at least, one of these markets and have taken pictures of them; so why do not upload a post on social networks showing your market experience and tagging our company? 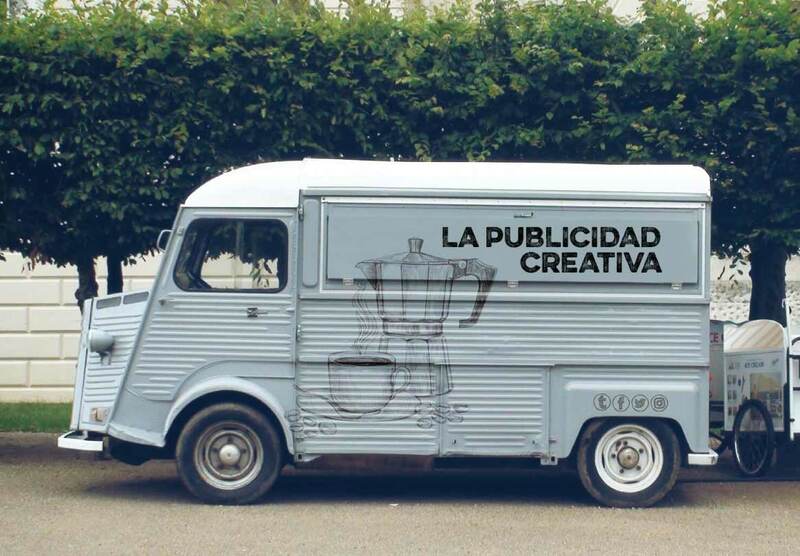 This tag would symbolize the fact that La Publicidad Creativa has contributed, as a third party, to the satisfaction of your needs. Do you want participate in the most exciting experience and be ready to share it with us?